The true story of adopted Australian Saroo Brierley's search for his Indian family. After my public screening of Lion, the gents' bathroom was filled with men splashing water across their faces in an attempt to remove any evidence that Garth Davis' movie had induced the sort of bawling you might expect from a bobby-soxer at an early Sinatra gig. The film never cheaply tugs at the heart strings, but it's often quietly devastating, exploiting every man's greatest fear, that of upsetting his mother. Lion's protagonist has not one, but two mothers to worry about. What stress! 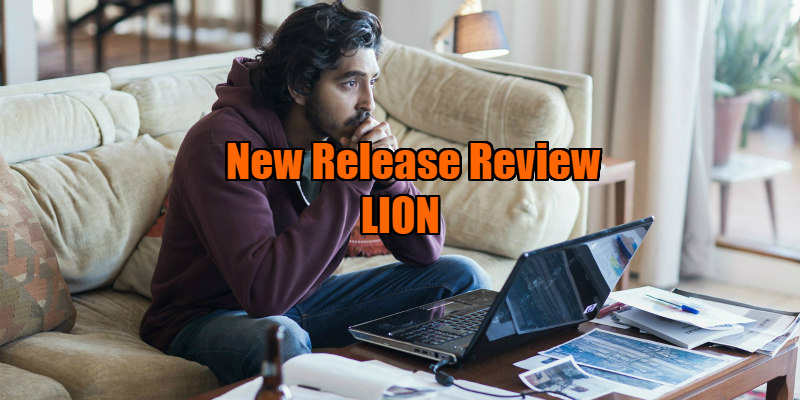 Lion is the true story of Saroo Brierley, an Australian businessman who, in his late twenties, decided to track down the family he unwillingly left behind in India 25 years earlier. The adult Saroo is played by Dev Patel, who gets a chance to exercise his range here. Following the success of Slumdog Millionaire, the British star has become the go-to guy for portraying Indian characters in Western movies. Here, he never gets to play Saroo as an Indian, but rather as an Australian, with all the cocky first world swagger the residents of that nation take such pride in. Adopted as a child by Tasmanian parents (played by Nicole Kidman and David Wenham), Saroo grows up with a love of surfing, beer and cricket, supporting Australia over India. It's only when he later attends college in multi-cultural Melbourne and makes some Indian friends that he begins to investigate his origins, using a new app called Google Earth to scour the intimidating land mass of India for clues to his original home town, desperate to find his first mother while attempting not to upset his second in the process. Before we're introduced to the adult Saroo, the first third of Davis' film is devoted to his struggles as a five-year-old in India, played by Sunny Pawar in a child performance for the ages. Boarding a train with his older brother, Saroo awakens later to find himself alone and trapped on a train that travels for two days before arriving in Calcutta. Unable to speak the local language, Saroo becomes homeless, spending his days avoiding the suspicious attention of adults until he is brought to an orphanage and eventually relocated to Australia. Davis may be best known for his work in TV, having helmed a large chunk of the acclaimed New Zealand series Top of the Lake, but his big screen debut announces the arrival of a filmmaker with a natural gift for cinematic storytelling. There's a lot of Spielberg in Lion, particularly in the sequences involving Saroo as a child. Watching the tiny figure negotiate his way through crowds of adults, filmed at waist height like a housekeeper in a Tom & Jerry cartoon, it's impossible not to think of E.T. And like Spielberg, Davis understands the cinematic value of a child's expressive face. There's a magical moment when, having arrived at his adoptive home, Saroo disappears behind the giant door of an Aussie fridge for a few seconds, eventually reappearing with a beaming smile, a short sequence that speaks volumes about western privilege. Davis makes novel use of physical space to express his protagonist's psychology. In two key moments, Saroo finds himself separated from his future by a road; firstly when he sits down across the street from a restaurant and attracts the attention of a diner by mimicking his eating motions, like Roy Scheider's son in Jaws; secondly, when walking to a party as an adult he spots a classmate he's attracted to (Rooney Mara) on the other side of the road and the two break out into a goofy dance, a short sequence that displays a more effective understanding of the emotional power of dance than anything in La La Land. Much of Lion plays out in silence as Davis relies on subtle camerawork, effective staging and the power of an actor's eyes over dialogue. Luke Davies' script commendably shuns any Oscar reel speeches, which makes the few times its characters sit down and communicate their feelings verbally all the more cathartic and moving. And boy is this a moving film. Don't worry if you need to retreat to your multiplex's bathroom to compose yourself after your screening. You won't be alone. 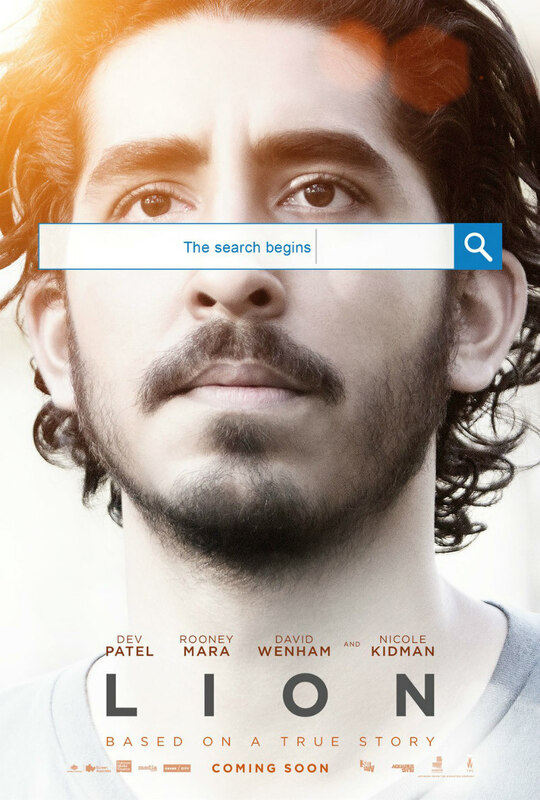 Lion is in UK/ROI cinemas now.